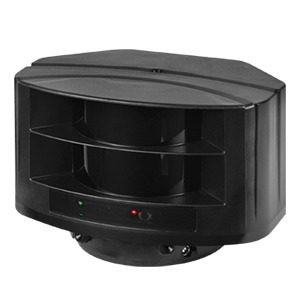 The high luminance white LED and Smart Noise Reduction technology work together to increase the light intensity and reduce the amount of noise. 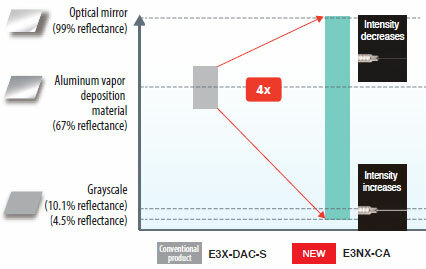 These have made it possible to expand the light intensity adjustment range for the emitter and receiver to 1/100x and 1/3x respectively, resulting in a high dynamic range four times that of conventional products. You can automatically adjust the optimal intensity by just pressing a button once with a mark and once without it. grayscale measured at the distance with minimum incident level (7 mm or 13 mm). 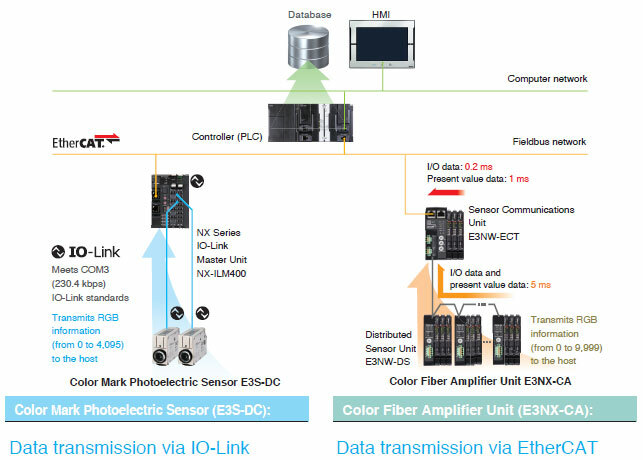 The high luminance white LED of the Fiber Amplifier Unit, and the high luminance RGB three-color LEDs and high efficiency optical system design of the Photoelectric Sensor deliver high power. 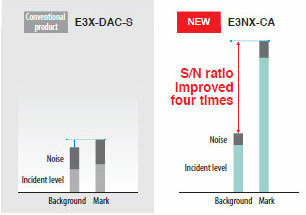 "Smart Noise Reduction" (a light reception algorithm) and "N-Core" (a high-speed, high-precision IC) work together to dramatically reduce the effect of noise. Increasing the incident level and decreasing noise make it possible to obtain a high S/N ratio even when color differences are subtle. 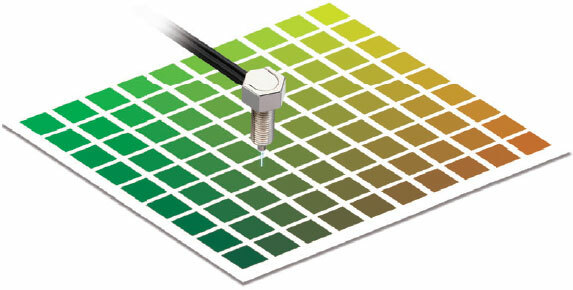 RGB information for color marks and backgrounds for each lot is transmitted to a host and quantified. This information is then managed in a database, making it possible to set optimal thresholds and identify causes quickly if a problem occurs. Until now, setting the threshold during commissioning required the knowledge of an expert. Now it is possible to get the optimal setting just by registering the RGB ratio of the packaging. 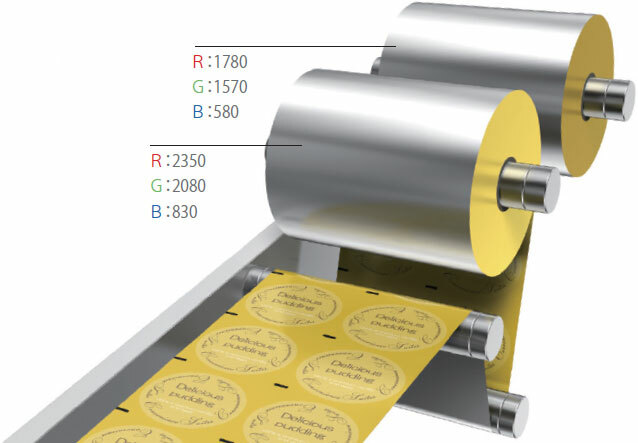 When the Sensor makes false detection, values can be checked to determine whether color variation from lot to lot in packaging material has occurred, making it easy to identify what has caused a problem and to then resolve it. Incandescent lamp: 20,000 lx max., Sunlight: 30,000 lx max. Sensor Communications Units cannot be used. *2. The following details apply to the input. *3. 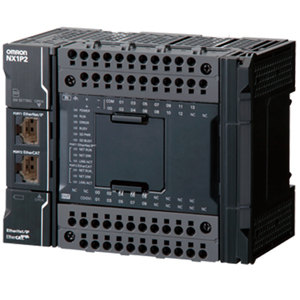 Two sensor outputs are allocated in the programmable logic controller (PLC) I/O table. 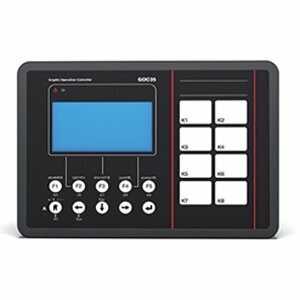 PLC operation via Communications Unit enables reading detected values and changing settings. *5. The mutual interference prevention function is disabled if the detection mode is set to Super-high-speed Mode. *6. The tuning will not change the number of units. The least unit count among the mutual interference prevention units of E3NX and E3NC. 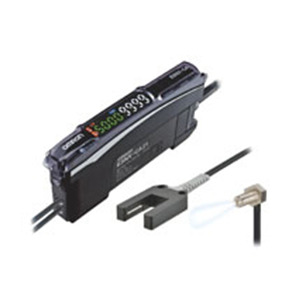 Check the mutual interference prevention unit count and response speed of each model. * The bending radius of the protective cover (PVC, 25 mm) is 10 mm min. *1. 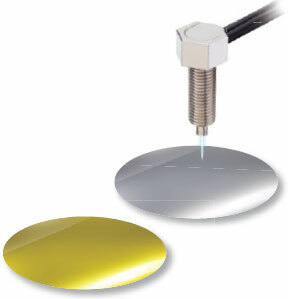 These sensing distances are recommended to make the most of the detection capabilities of the Sensor. *3. The sensing distances are given for Contrast Mode. The sensing distance cannot be set in Color Mode.